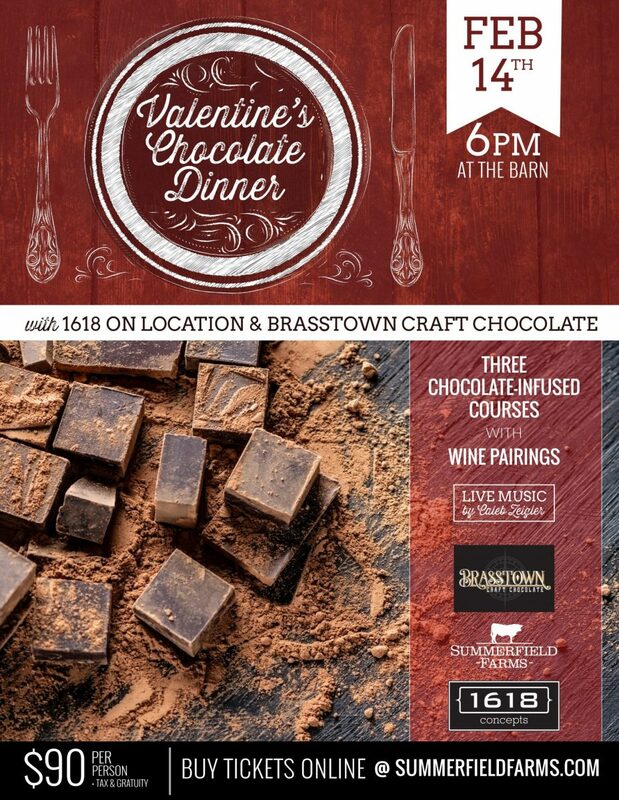 Our 3rd annual Valentine’s Dinner is all about CHOCOLATE. Enjoy a 3-course meal with chocolate-infused dishes and wine pairings. 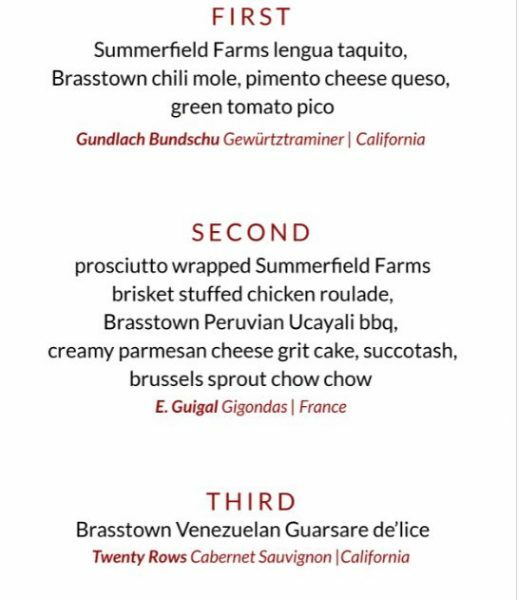 Each course will feature a dish that incorporates chocolate crafted by local chocolatier, Brasstown Craft Chocolate and wine paired by Nick Wilson of 1618 Concepts. Scroll down for menu! We can accept seating arrangement requests for groups up to 16. Limited seating available so purchase early. We sell out every year! Make it an extra special evening with an overnight stay for two after the dinner in one of our renovated farmhouses. Wake up beside your Valentine and take in the pastoral views of our Carolina countryside. For more info and pricing, email info@summerfieldfarms.com.